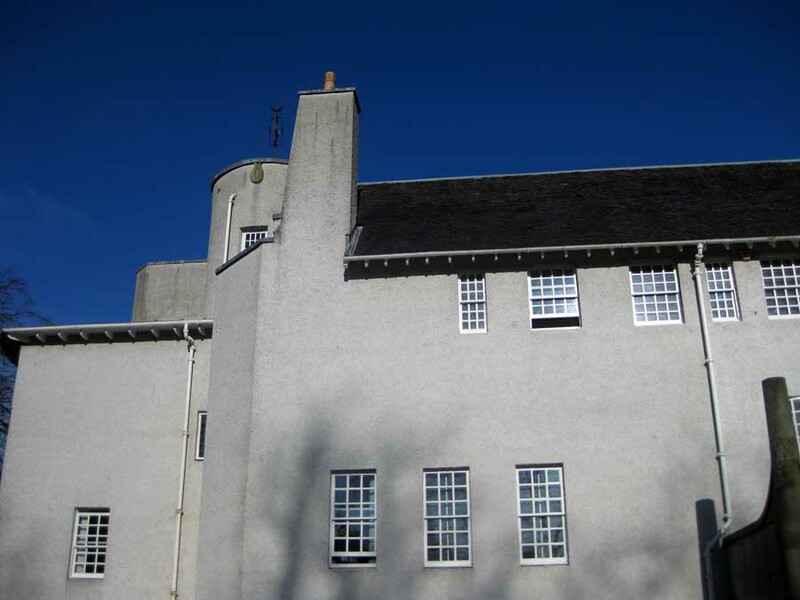 The Bell-Simpson House is a 1950’s brick bungalow situated between Strathblane and Milton of Campsie in Stirlingshire and enjoys an uninterrupted aspect to the Campsie Hills. In 2003, our Client requested that the property be extended to accommodate two large living spaces and study, which were not possible within the restricted existing property. 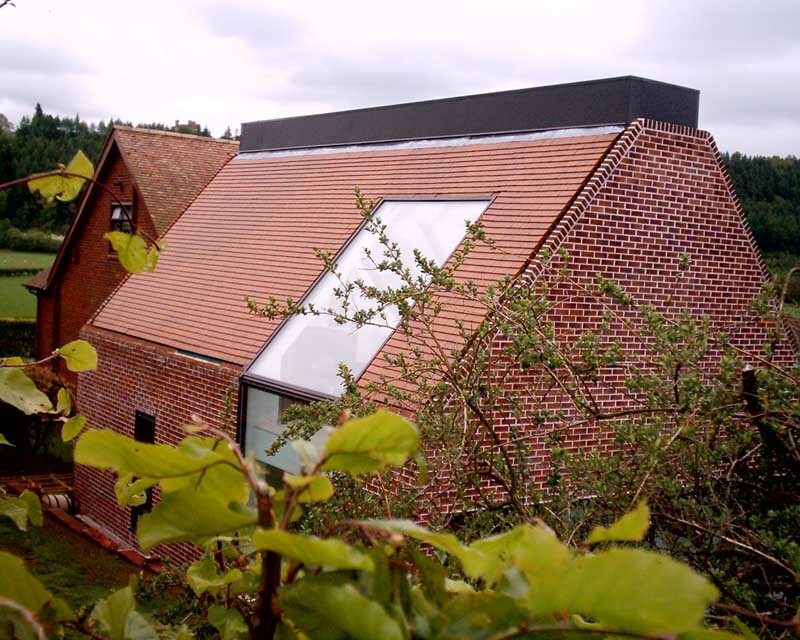 The form of the extension is derived from the existing storey and a half dwelling on the site. 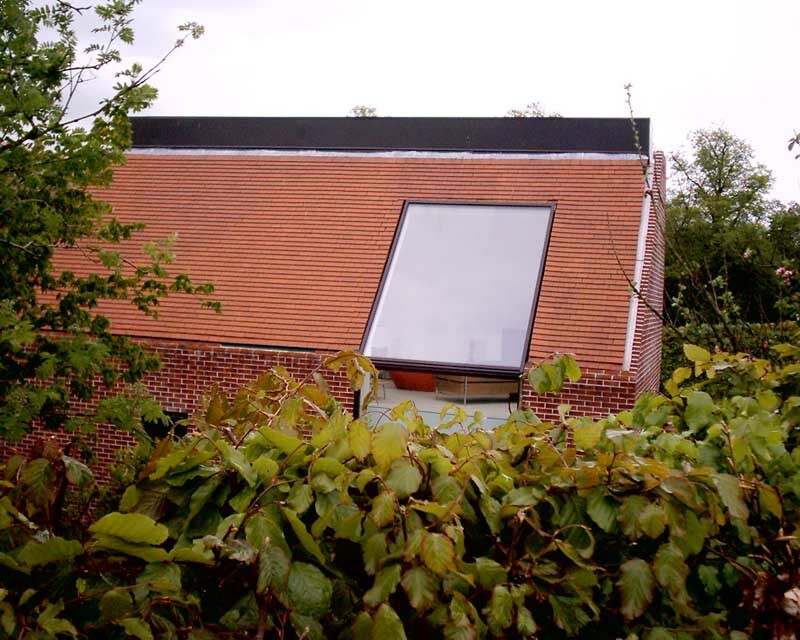 The extension is positioned to the north of the existing dwelling within the sloped rear garden. Formally, it is detached from the existing dwelling by a single-storey glazed flat roofed ‘box’ which doubles as a second means of entry. 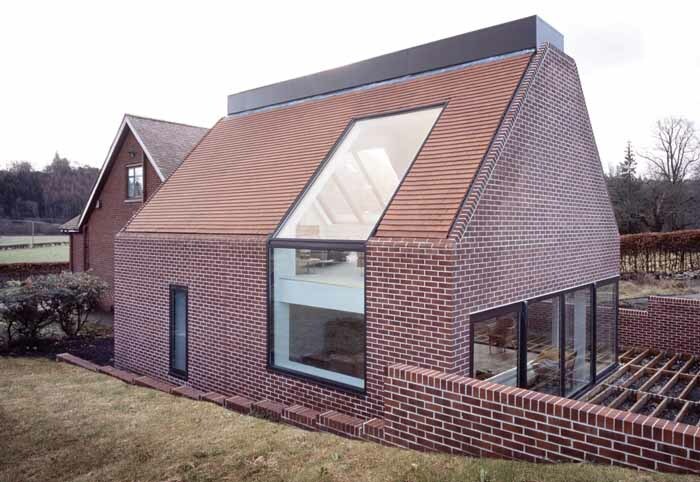 In plan form the extension has a deliberately casual relationship with the existing dwelling in order to signify that an additive process has been undertaken. 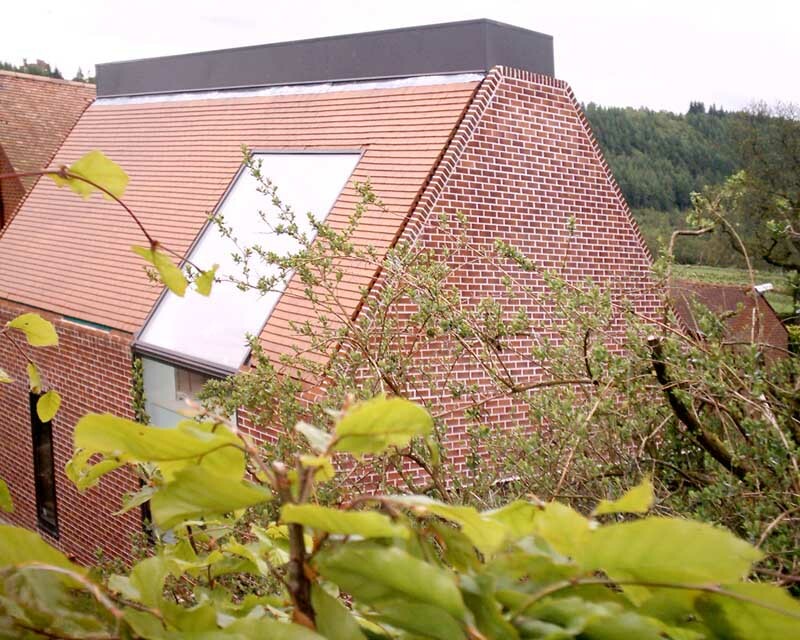 Although contrary with local planning guidelines, since the new extension does not blend seamlessly with the existing house, this is consistent with the surrounding rural pattern of agricultural development where structures are added in response to functional necessity. This pattern is seen to have value by means of its honest and rational expression of development. The envelope of the building is treated in a homogenous manner in order to reinforce the notion of a uniform skin. All components, wall, roof, windows and doors are pulled flush to the outer face of the building envelope so there is no hierarchy between elements. This is an attempt to create an architecture that is stripped of articulation and expression, appearing generic in its formal language. As the site rises to the north the building form is stepped down in the landscape. A retaining wall wraps around the extension on three sides to create a strong sense of protection and enclosure. Internally, there is a clear contrast between the two storeys. On the lower level the ceiling is deliberately below that which we would expect and focuses on the primary aspect towards the enclosed brick courtyard space to the north and west. Consequently there is a sense of a flat interior space from which the adjacent space has been extended. This notion is further reinforced by the continuous walnut flooring that extends from the interior to the exterior courtyard. From this level a fully clad walls and stair create a timber ‘sleeve’ that has been ‘inserted’ into the building. Off this staircase is a small study with slot window, which focus on the peaks of the Campsie Hills beyond. In contrast, the upper level is a full storey and a half in height. Here, two large muted gable walls and large areas of glazing dominate this living space. 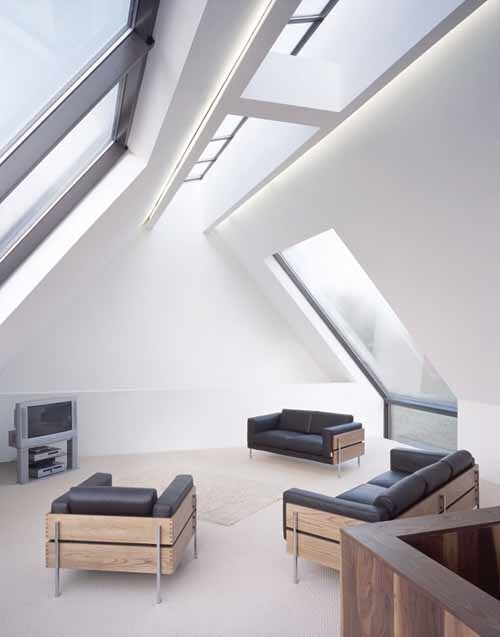 The focal point of this room is the ‘folded window’ that wraps from the roof to the hip and down to the lower level. This glazing pattern is both technically innovative and, as with the rest of the building, is finished to the highest standard. This floor level is lined along its length by an apex roof light that again takes the form of an inserted ‘object’, also containing all lighting for this level. A slotted void to the lower level can also be found at this storey.